Fr. 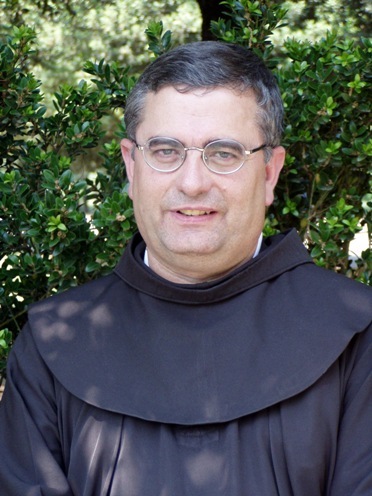 Jose Rodriguez Carballo: First of all, I would like to greet everyone with the Franciscan greeting: Peace and Goodness. I would like to say that I am truly delighted to be visiting Herzegovina for the second time. I am here on a fraternal visit to all the friars that live in Herzegovina. In his Rule, Saint Francis asks his successors, the General Superiors, to visit all the friars of the Order on a regular basis. This is not a canonical visit, but a fraternal visit with a double objective… first of all, to encourage the friars to live the Gospel even more faithfully, as we have promised in our Profession, and secondly, if deemed necessary, to admonish and to correct them fraternally. On this occasion, as we prepare for the eighth centenary of the foundation of the Order, I came here also in order to share with the friars how, at this time, the Order is preparing for the year 2009, in which all members of the Order will renew their religious Profession. I will proceed from here to Sarajevo, where the Provincials from all across Europe will meet in order to speak, among various other topics, about the challenges that lie ahead for the Order. Could you tell us something about your experience with the Franciscans in this parish? Fr. Jose Rodriguez Carballo: I am convinced that the friars who live here in Medugorje are providing an excellent service, in the first place for the local people, the parishioners. This is a parish, and we are clear as to the duties of the religious who are the priests of the parish team in charge of this particular ministry. According to my information, I can say that the friars dedicate all their talents and energies to the service of the faithful of this parish. Moreover, the friars are also at the service of all those who visit Medjugorje. Furthermore, I would emphasize the great importance they attach to social works in favor of the poor, and they give faithful evangelical witness even to those who do not share our faith. Therefore I can say that I am satisfied with the service that my brothers provide in this parish of Medugorje. We notice the many pilgrims who come here from all over the world. What in your opinion prompts them to come to this parish in particular? Fr. Jose Rodriguez Carballo: For me, the fact that so many come to Medjugorje reveals the thirst for God among our contemporaries. Only God can totally fill the human heart, as Pope Benedict XVI reminded us during his recent pilgrimage to Assisi. Just as is the case for those who visit other centers of spirituality, my hope is that those who come to Medjugorje can truly meet God, and can follow Christ more closely. In my conversation with the friars of this community, I have emphasized that they have to be instruments, so that the people who come to Medjugorje can meet Christ, can follow Christ, and can place the Gospel at the very heart of their daily lives. Remember that my presence here is a fraternal presence, a visit to the brothers who work here, in order to encourage them and to allow myself be encouraged in turn to follow Christ more closely as Friars Minor. What is the message of Saint Francis for today's world? Does the Order need to make major changes? Year 2006 - "Lord, what do you want me to do?" - Discernment. Year 2007 - the year of life's project - to put the Gospel at the center of our lives. Year 2008/2009 - a celebration of the gift of vocation… we want to say to the world that we are happy to be Friars Minor, and that we are grateful to the Lord for this call, and also to the people for all their love. In conclusion, I wish to repeat my greeting of Peace and Goodness, and may I recall what Benedict XVI always requests of us: to open our lives, our very existence, to Christ, because when He enters into our lives, rather than taking away anything, He gives us everything.